If you own a business, you likely own some form of general commercial liability, or CGL, insurance to protect you in the event of a lawsuit due to negligence on your part. However, there may be situations where the limits of that CGL policy won’t give you adequate protection. That’s where a commercial umbrella insurance policy comes in. 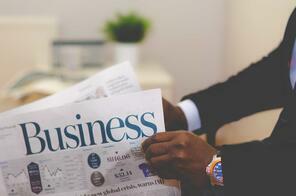 It can provide you and your business the extra protection you might need. A commercial umbrella insurance policy can be used for extra coverage on any commercial automobile, CGL, workers compensation, or other liability policy you have. The limits of your umbrella insurance kick in after the limits on your primary liability policy have been exhausted. Almost every business -- large or small -- needs some level of added protection afforded by a commercial umbrella insurance policy. However, there are at least five critical facts you should be aware of when you consider purchasing such a policy. Many of the Insurance Services Office's policy forms are used as the industry standard and work as benchmarks to compare and analyze and policies developed by insurers. In particular, the ISO Commercial General Liability Coverage Form is the insurance standard for general liability policy coverage, which explains the similarity in so many CGL policies. This means it’s essential to work with an experienced insurer who understands your business, the risks you face and knows what coverage will be critical to you. However, if you have a “following form” commercial umbrella policy with Leap / Carpenter / Kemps, you can be guaranteed that your policy will provide the same coverage as the primary policy. Umbrella pricing is usually a predetermined rate based on the underlying premium but can include the judgment of the underwriter. As a rule of thumb, you can anticipate spending an extra 5% to 8% of your primary premium on umbrella policies. How Much offers some general guidelines of what you might expect to pay annually for an umbrella policy with a $1 million coverage limit, depending on the level of professional liability risk you face. Additional insureds are people or companies with whom you have a business relationship who could face a risk of a lawsuit if you act with negligence during your business interactions. Dealing If the primary policy has additional insured’s, they will carry over into the umbrella policy. For instance, if you’re a general contractor and need a specialty contractor to do some of the work you were charged with, they’d likely be named as an additional insured on your CGL policy in case they get sued for something relating to your overall work. If your CGL policy names additional insureds, they will carry over into your umbrella policy with Leap / Carpenter / Kemps. Thus, it’s essential you carefully consider the terms and conditions of the umbrella policy to understand what’s covered and what’s not, warns the law firm of Newmeyer & Dillion. However, if you have a true “following form” umbrella policy with us, your exclusions will be the same as in your primary policy. Our commercial umbrella, insurance policies give your business an added layer of liability protection -- over and above your commercial liability policies. 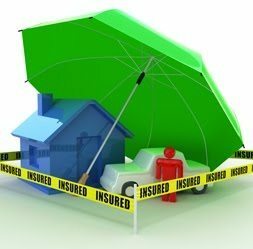 For example, if you have $1 million in general liability coverage and a covered claim is settled for $1.5 million, your business’s umbrella policy would pick up the additional $500,000 rather than it coming from your wallet. At Leap / Carpenter / Kemps, Merced County’s largest locally-owned agency, we have an experienced staff of professionals who understand that each business is unique and that the one-size-fits-all approach just doesn’t work. Umbrella and excess purchases have to be carefully planned to get the most complete protection for the lowest rates. Give us a call at 800-221-0864 to see what we can do to help you manage your liability exposure.